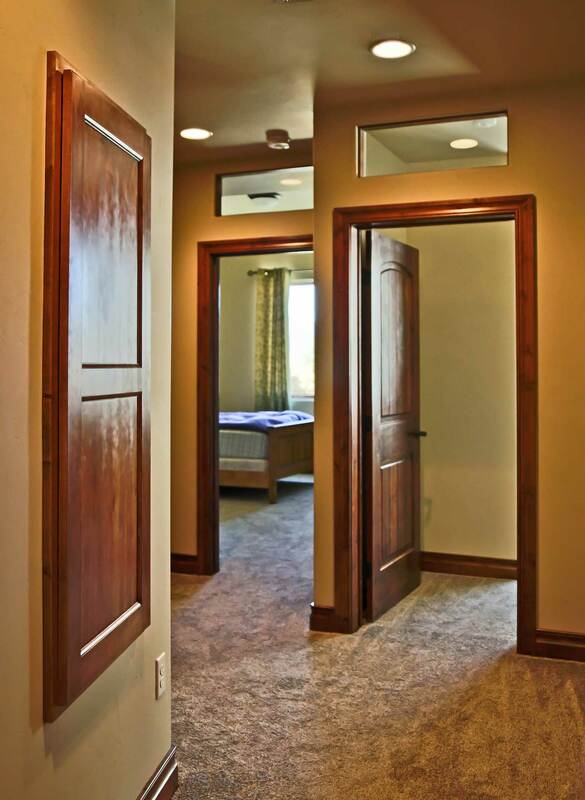 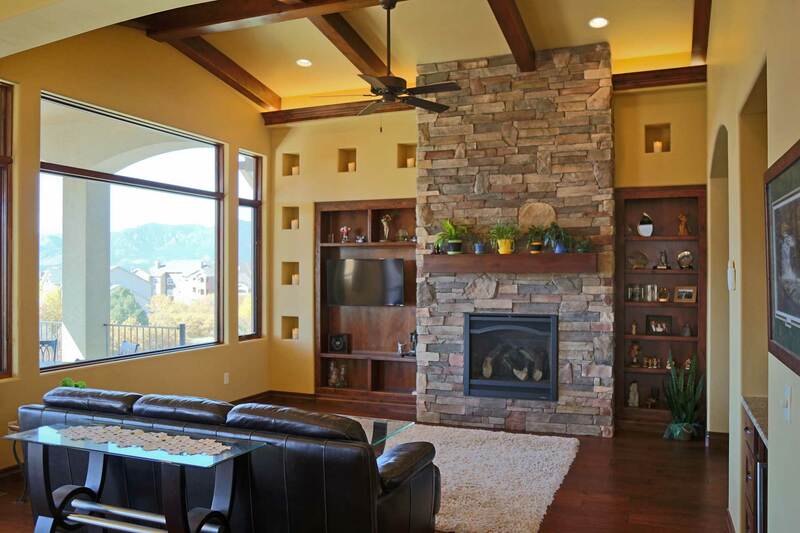 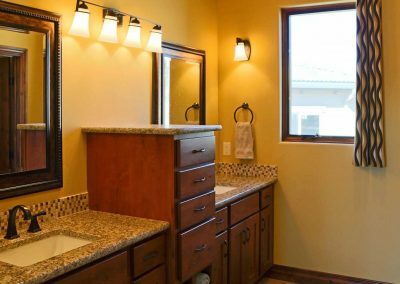 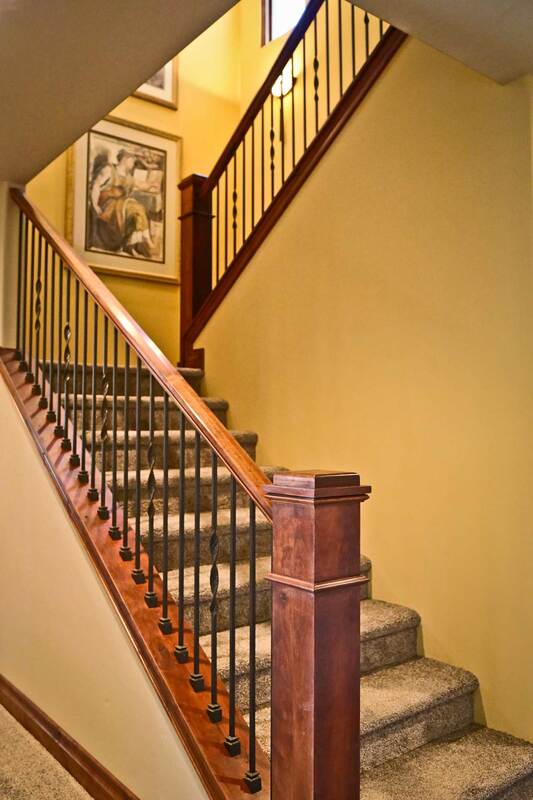 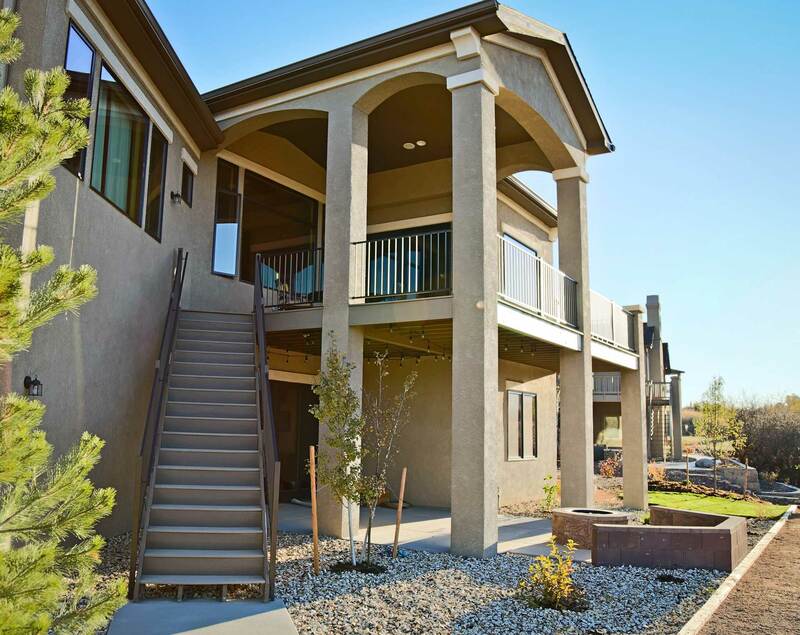 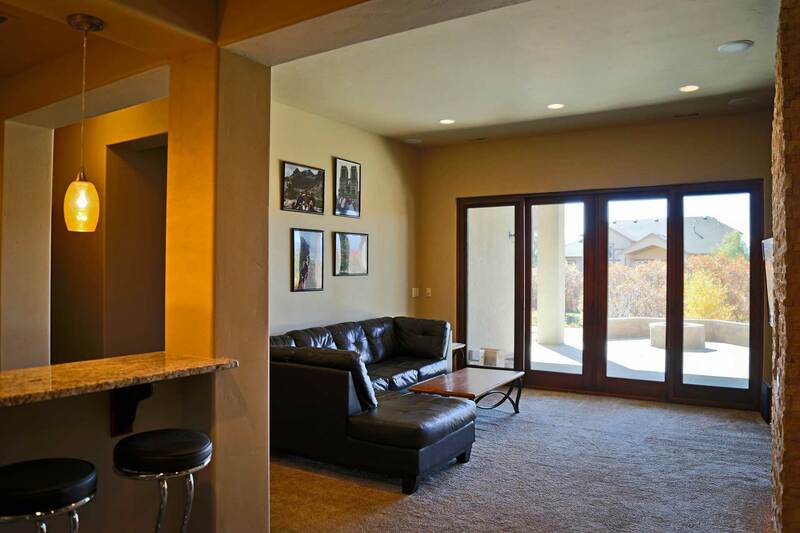 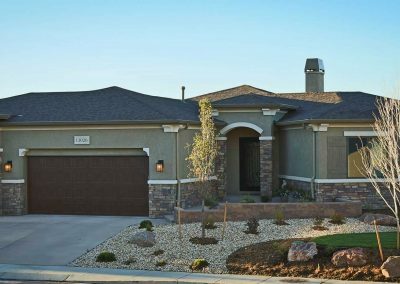 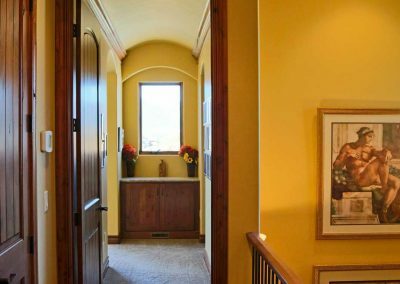 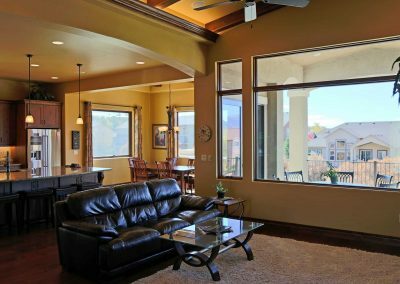 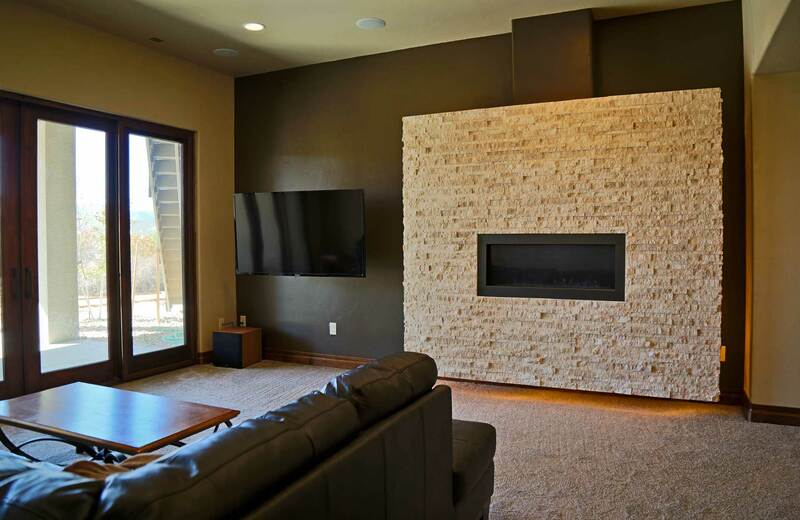 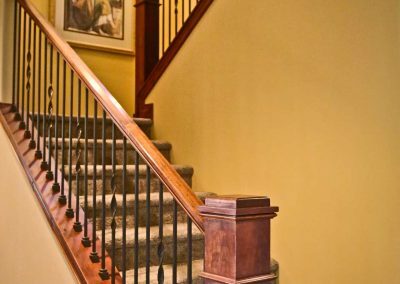 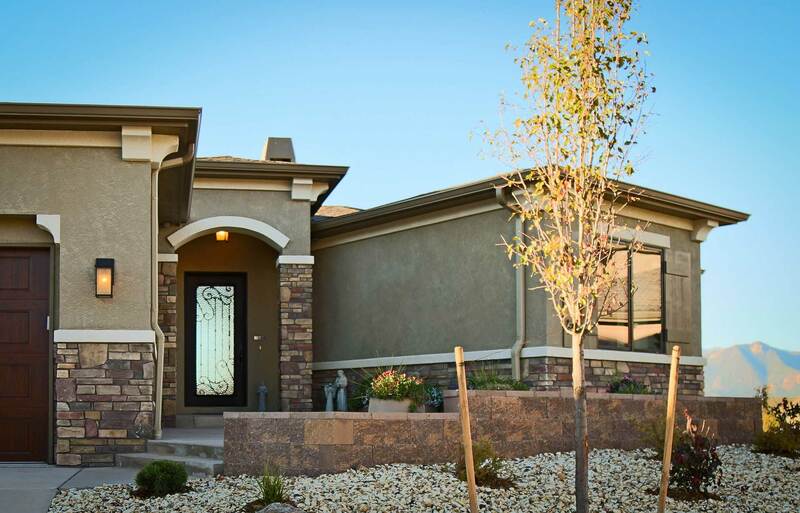 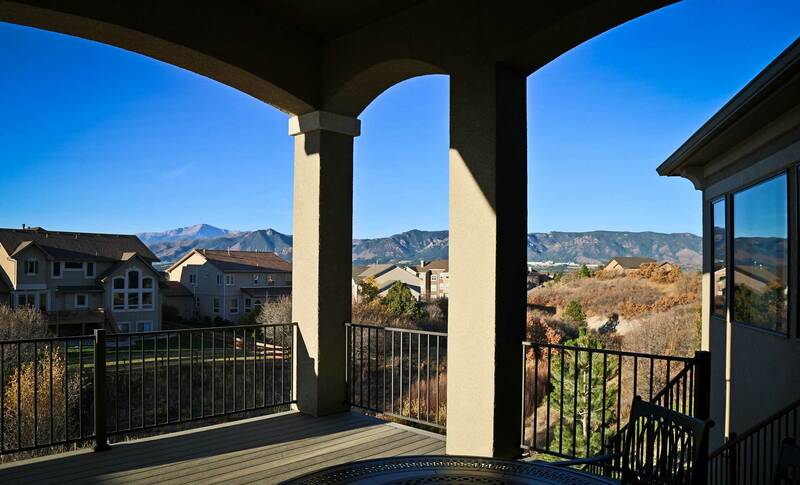 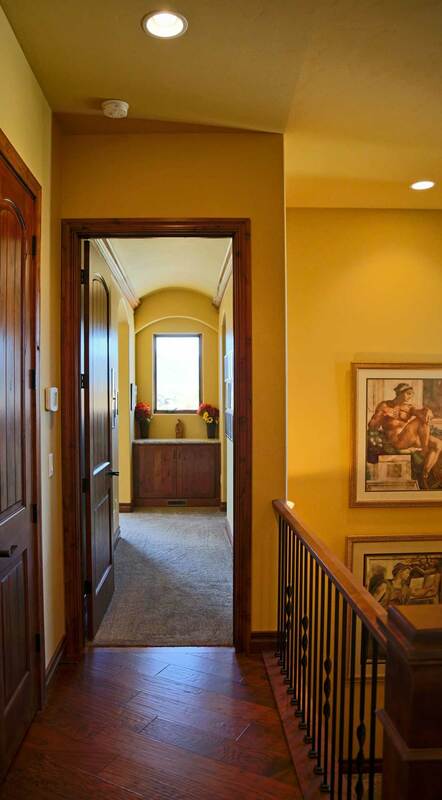 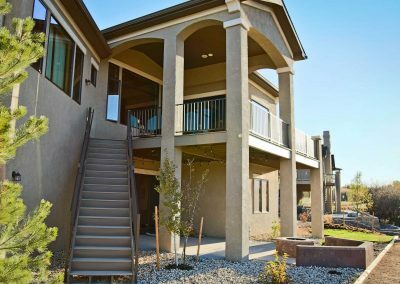 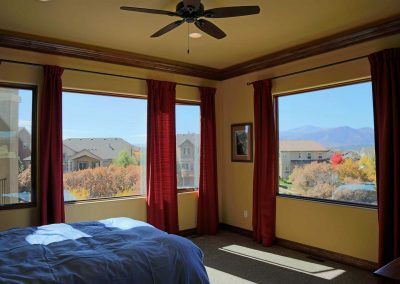 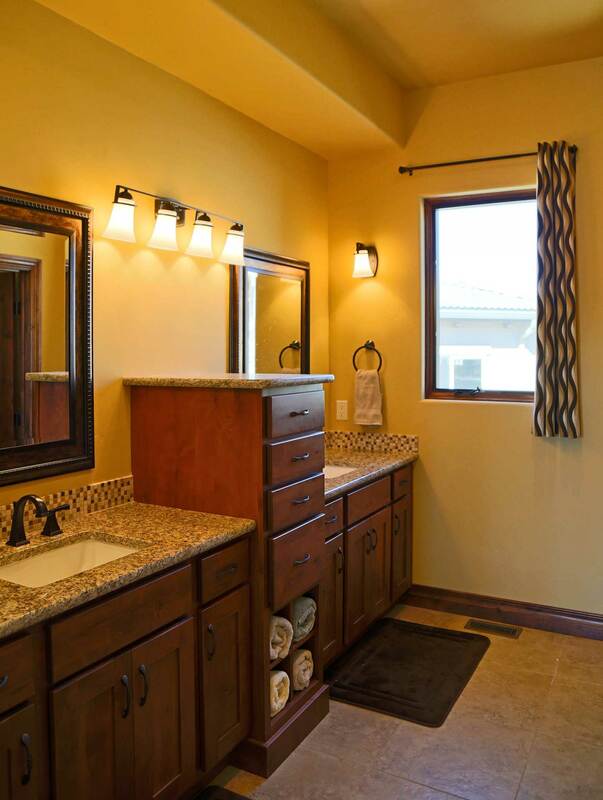 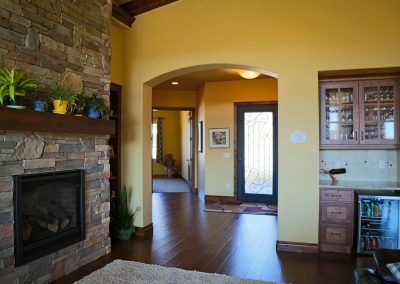 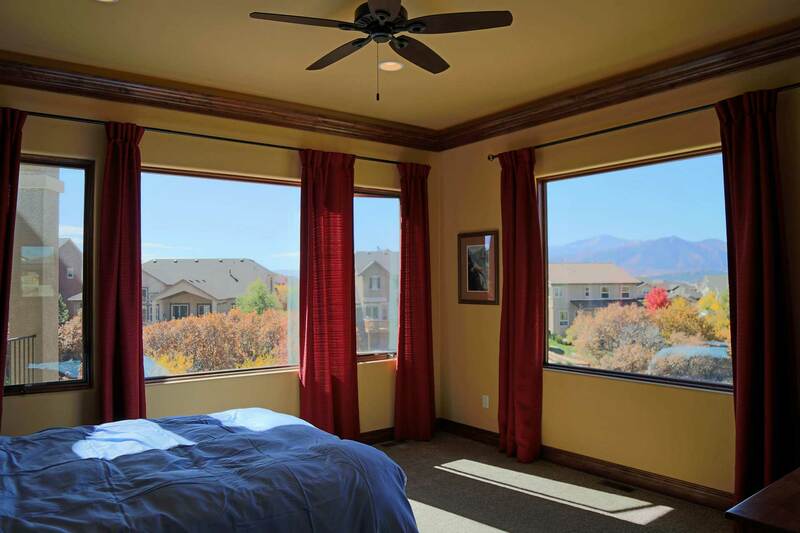 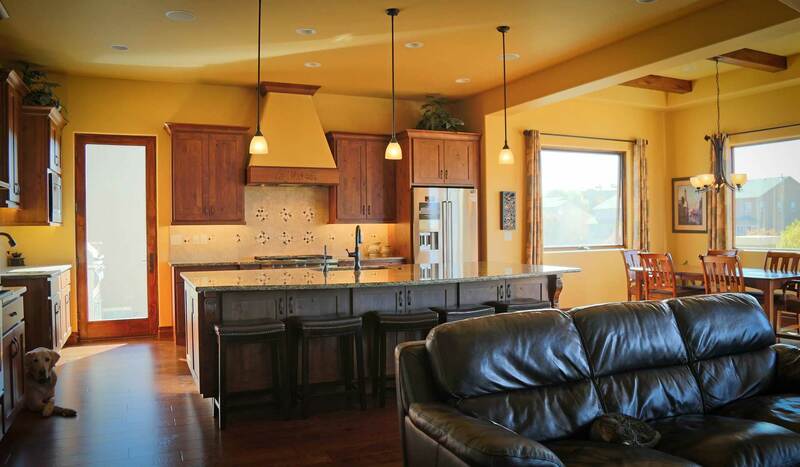 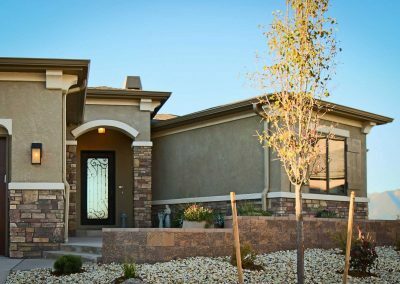 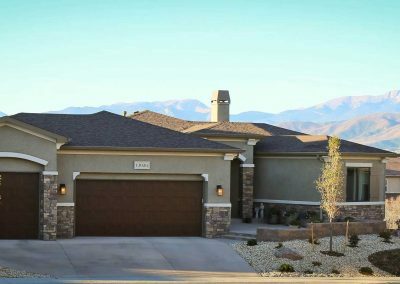 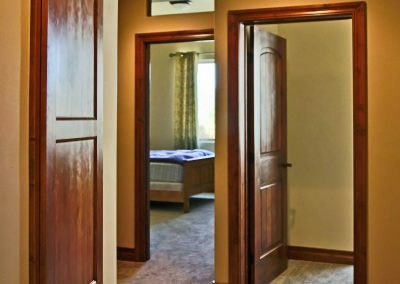 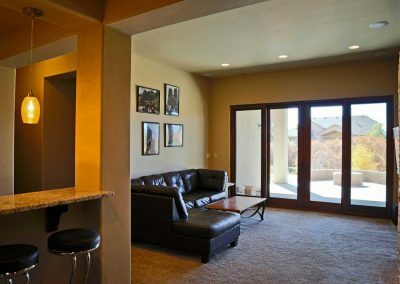 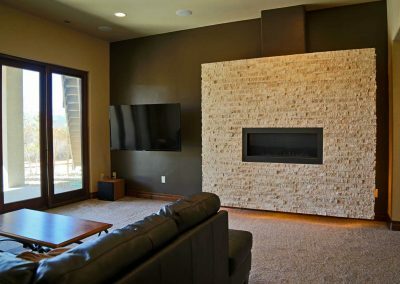 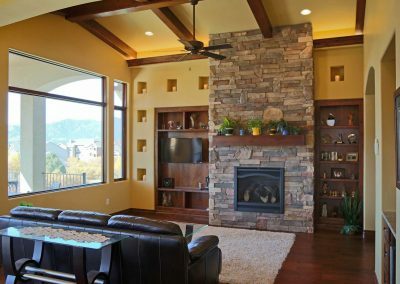 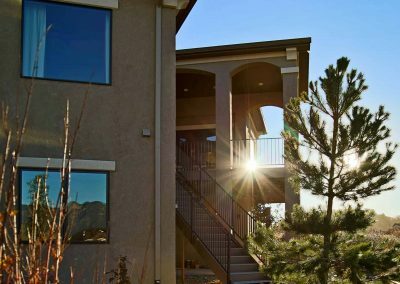 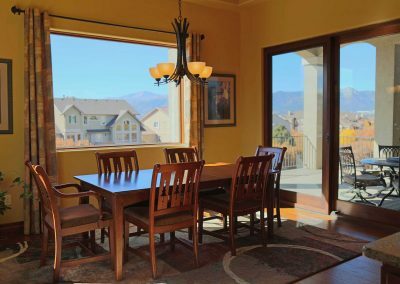 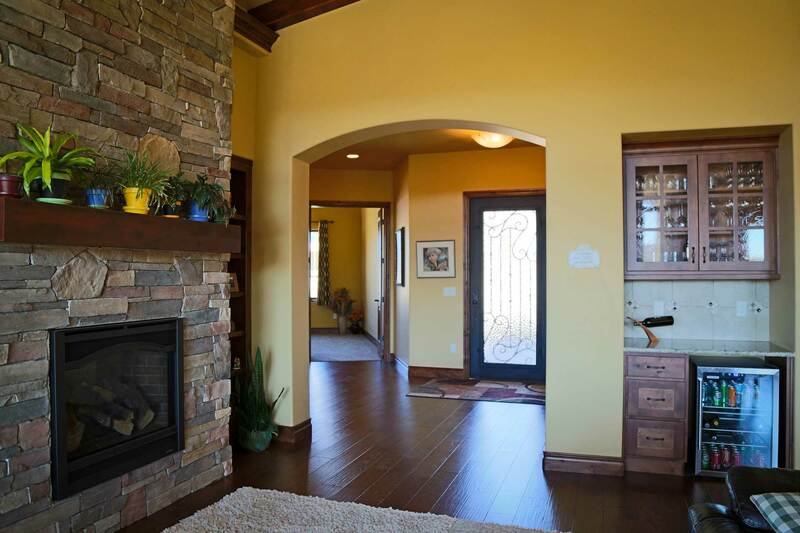 This custom home is just under 4,000 s.f., has 6 bedrooms, 4 baths and still feels very spacious. 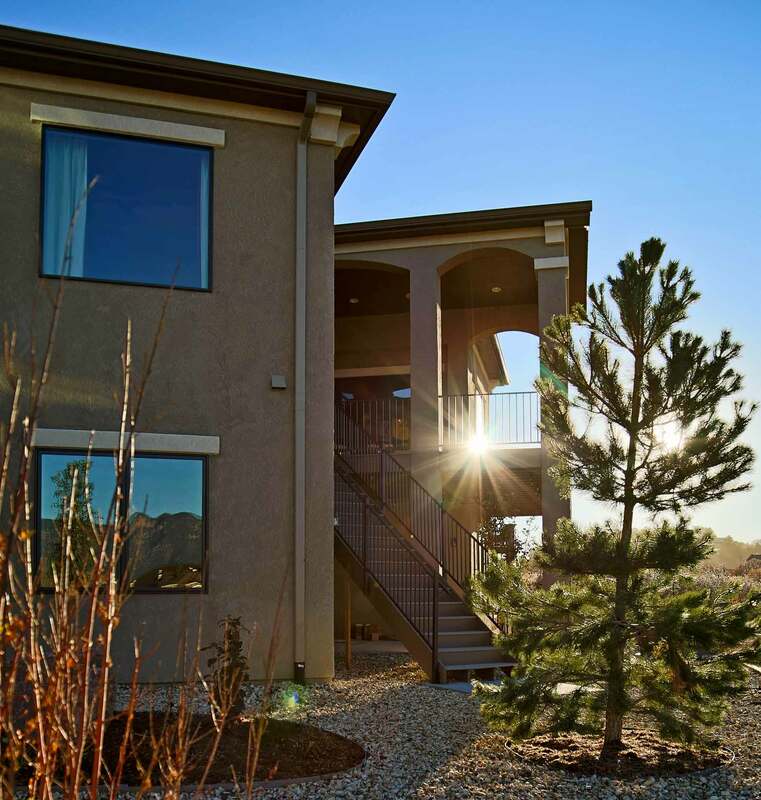 The small footprint maximizes the dramatic views in three directions. 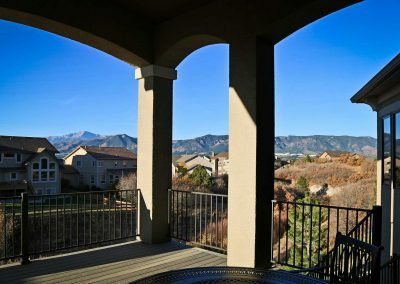 The master wing was rotated 60 degrees to perfectly align on the U.S. Air Force Academy, while the primary axis of the home captures Pikes Peak and the front range. 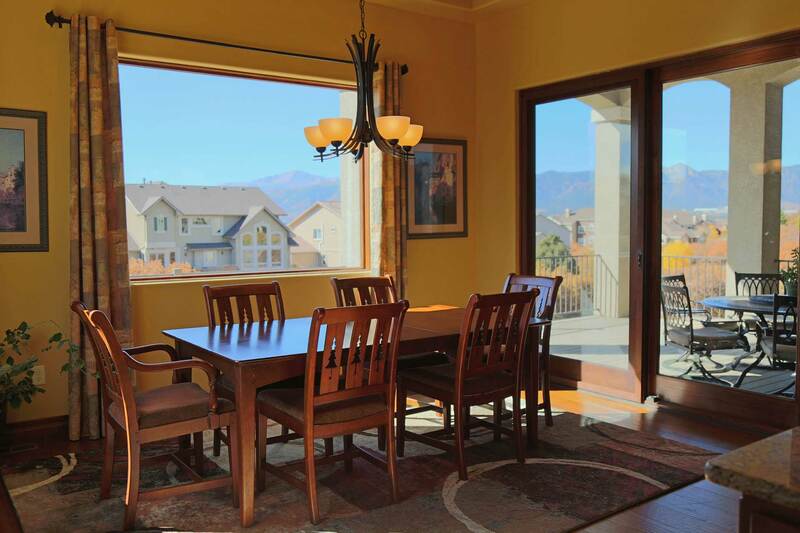 Indoor and outdoor dining areas extend beyond neighboring homes to better frame views of Flying Horse Golf Course. 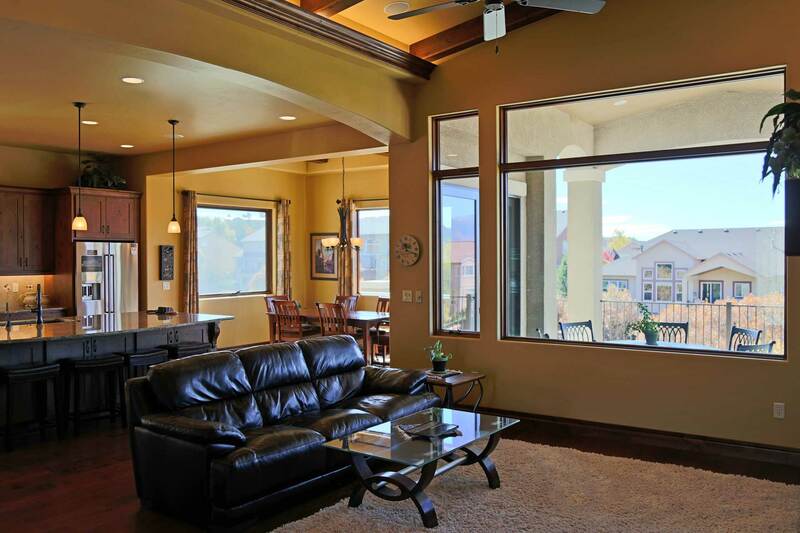 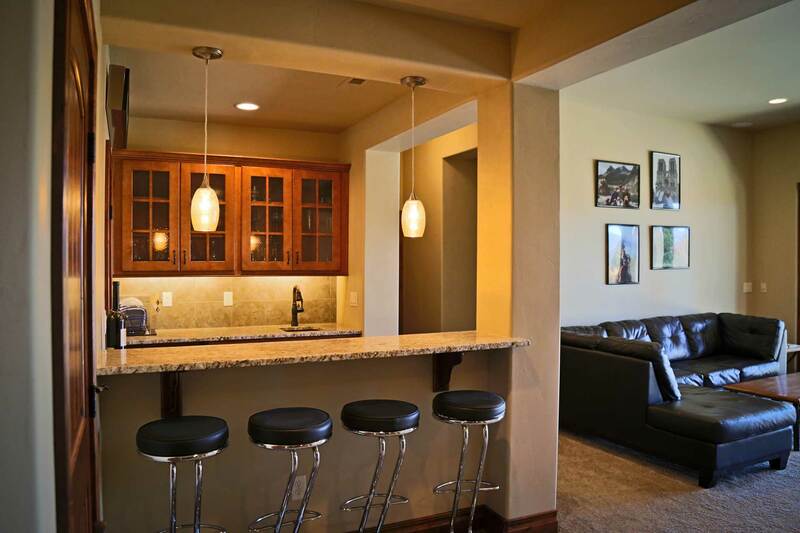 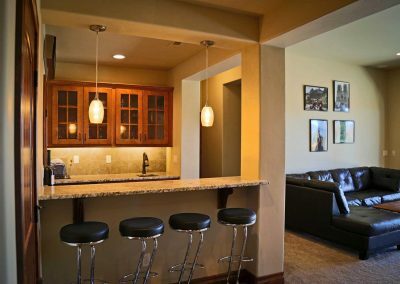 The layout is light filled and open to allow casual living in a European inspired environment. 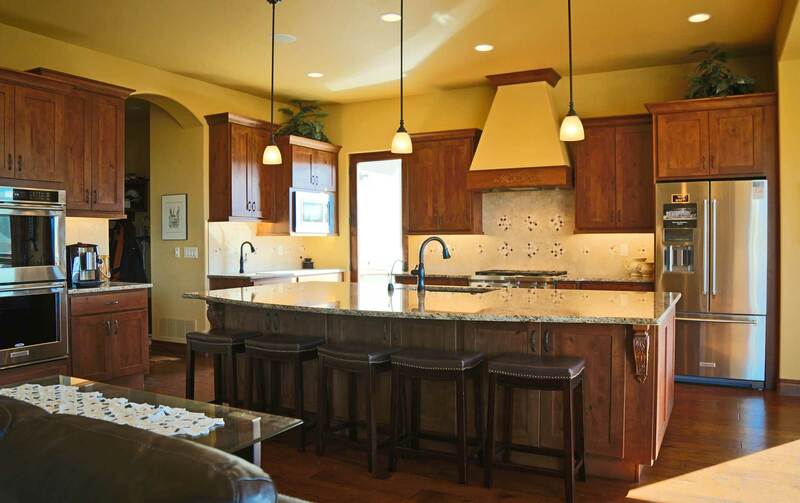 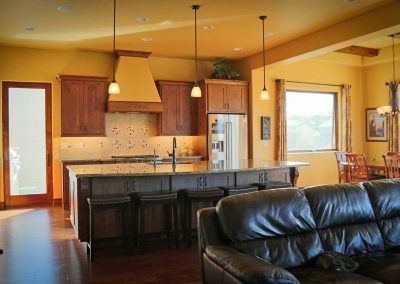 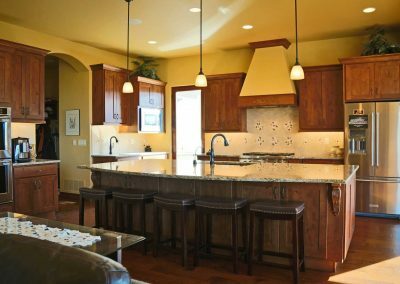 The kitchen is the heart of this warm home, primarily finished in natural wood and stone.